You may already know that every adult should explore the basics of estate planning with an estate attorney near Tracy and Manteca. Although a last will and testament is often the first document that comes to mind when one is thinking about estate planning, a revocable living trust could be just as important. 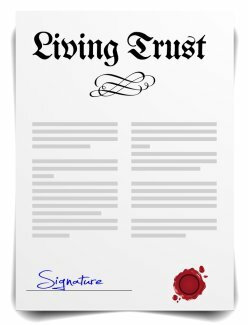 A living trust is a legal document that establishes control of any assets placed into the trust. For many people, setting up a living trust makes good sense for financial and practical purposes. Consider talking to a living trust attorney to find out if this arrangement could be right for you. Would You Like to Retain Control of Your Assets? A living trust may be appropriate for you if you’re looking for a way to plan for the future while currently maintaining control over your assets. 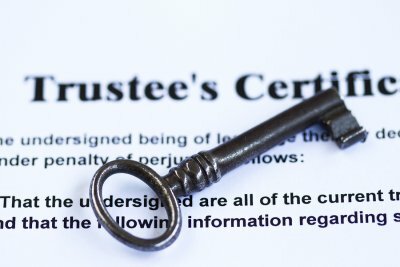 When your attorneys establish a living trust, you are named the trustee. In other words, you aren’t forfeiting control of your assets just yet. In the event that you pass away or are declared incapacitated, control of the trust is transferred to the trustee whom you have designated. When a decedent’s estate goes through probate, his or her financial affairs become a matter of public record. If you value your privacy, you can speak with an estate planning lawyer about creating a living trust, which will never become a publicly accessible record. This is an attribute of living trusts that may be particularly attractive to individuals with substantial wealth and those who are known to the public, such as elected officials. Could Your Heirs Benefit from Avoiding Probate? Many people consult a lawyer about establishing a living trust because they want their heirs to avoid the probate process upon their death. Probate can take months to finalize and in the meantime, heirs may need financial assets to take care of funeral costs and other expenses. When your successor trustee assumes control of the living trust upon your passing, he or she can distribute assets in a matter of weeks. Although making plans for your estate may be uncomfortable, it is one of the most important things you can do for your family. Two options you have are wills and trusts. Wills are legal documents that detail your final wishes, from who you wish to receive the assets in your estate to who should gain guardianship of your pets. Trusts can be set up while you’re alive and are a pool of assets that can be used by your beneficiaries. When you are alive, you are the beneficiary of your trust, and after your death, it will pass on to the people you have designated. Let one of the attorneys in Tracy at Bakerink, McCusker & Belden help you understand whether a will or trust is appropriate for your needs and help you set one up that adequately protects your family. Start a conversation with your family about estate planning by sharing this information. At Bakerink, McCusker & Belden , our attorneys in Tracy are dedicated to providing our valued clientele with comprehensive legal guidance in our areas of specialization. Attorney Michael C. Belden, one of our partners, has extensive experience in the areas of estate planning, probate, trust administration, and bankruptcy. In 2014, the State Bar of California Board of Legal Specialization granted Mr. Belden the designation of Certified Specialist in Estate Planning, Trust, and Probate Law. The exhaustive certification process involved a number of continuing education programs, peer reviews, and an intensive examination. Before Mr. Belden joined our law firm, he served as Assistant Banking Center Manager for Bank of America. He later reviewed appellate cases for the Civil Justice Association of California. 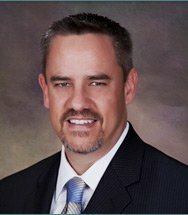 Mr. Belden joined the law offices of Bakerink & McCusker as a law clerk in 2003, focusing on estate planning and related matters. He graduated from University of the Pacific, McGeorge School of Law in 2005 and was subsequently admitted to the California State Bar. Since joining our law offices, Mr. Belden has demonstrated an exemplary commitment to client education and counseling. 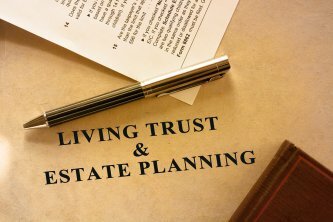 When estate planning, most people mistakenly believe that trusts are reserved exclusively for the wealthy. In fact, nearly anyone can benefit from setting up a trust. A trust simply gives you control over how your assets are distributed after you pass. In addition to giving you that extra control, trusts can help your beneficiaries avoid estate taxes and probate proceedings. In this infographic from Bakerink, McCusker & Belden Law , attorneys offering estate planning in Tracy, you’ll learn how trusts work and who can benefit from them. To find out which kind of trust is right for you, contact one of our lawyers. You can also arm your family and friends with the knowledge they need for estate planning by sharing this information with them.